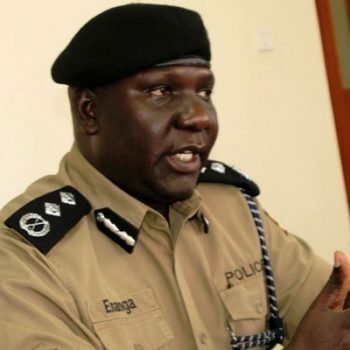 Uganda Police Forms Task Force To Combat Sale Of Government Drugs On Black Market. Police have created a taskforce to establish the culprits behind the alleged theft and sale of government drugs in the government hospitals. The moves comes after Internal Security Organisation (ISO) operatives set up journalists working for BBC and NBS TV as they investigated sale of government drugs on the black market leading to their arrest on Wednesday night. Four journalists working for BBC and NBS TV, Godfrey Badebye, Kassim Mohammed, Rashid Kaweesa and Shafiq Kisame were arrested by ISO operatives as they were allegedly buying the said drugs at Makindye Town, a city suburb. NBS television investigative journalist and news anchor Solomon Sserwanja handed himself in to authorities for questioning on Friday hours after police declared that he was on the run over the same charges. They were however, freed on police bond after recording statements. “The police has created a task team which is building further on the available facts on file, to establish the culprits behind the alleged theft and sale of government drugs, in these government hospitals and will ensure all suspects that are criminally liable are brought to book”. The ministry of health had also said it was premature for them to speculate on the matter until they get complete information on this case. “However, we are shocked and concerned that there are still drug theft rackets operating in the country. As a Ministry, we support any endeavor that is aimed at helping government to expose individuals involved in stealing government medicines and other commodities,” said Mr Emmanuel Ainebyoona, the ministry’s senior public relations officer.